Mesenchymal stem cells (MSCs) are common stem cells in the human body. They have various properties and functions, including migration to tumors. Based on this property, MSCs have been used as vectors to deliver anti-cancer agents to tumors. To date, MSCs have been modified to express some factors or agents, including interleukin (IL)-12, IL-14, IFN-beta, IFN-gamma, TRAIL, and suicide genes/enzymes. Currently, MSCs are being modified to deliver oncolytic viruses and drug-loaded nanoparticles. 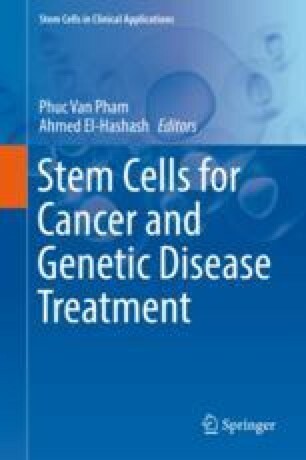 In this chapter, updated information on the applications of engineered MSCs for cancer therapy will be discussed.